mansquatch wrote: Jim, IMO the increase in PA in 2016 was a direct correlation to the terrible PF the team was producing over the same stretch. I suspect an interesting analysis to compare the 2016 team vs. the 2013 SEA club would be the amount of rushing snaps the two defenses faced. If I were to venture a guess, it would be that the 2016 Vikings saw quite a few more since they were constantly struggling against their own inept offense. It's actually less. The 2016 Vikings faced 404 rushing attempts from their opponents. the 2013 Seahawks defense faced 422. The main take away I get is that offensive production affects defensive performance far more than the opposite since offensive production most often results in points while defensive production most often results in possessions. Generally speaking, I think the influence of one unit on the other is pretty equal. Obviously, when the offense is bad in a game where the defense plays well that hurts the defense more and vice versa. I just mean that, all things being equal, the offense and defense of a team exert a similar degree of influence over one another in the NFL. In 2016 the vikings OL crippled the majority of our positions, significantly reducing the advantage we gained from our defense. So shift this to our achilles heel in '16, the OL. TJ Clemmings AKA the Saboteur, hampered all by himself something like 40% of the drives he played on due to penalties and awful pass protection, 2016 That is a massive detriment to the team. I know guys are not that excited by Reif / Remmers, but they probably have the potential of reducing the OL sabotage by a massvie margin (over 50%) just by playing below average NFL football. That should provide an improvement to our PF, which if you buy the above should also lead to an improvement in our Rush D and PA numbers. losperros wrote: We'll have to agree to disagree, because I'm not budging on my view regarding replacing and/or adding depth to the entire OL. And yeah, it's realistic. It can't be done overnight but working on it now is far better than procrastination or ignoring the problem. That's another thing I won't waiver about. As I said, Reiff and Remmers are improvements. I hope the momentum continues and things get better. A lot better. As a fan, I'm in no mood for anything else. Not at this point, anyway. We need to see how this group plays together before we can start throwing Pollyanna positives out there. I am not satisfied. Riley is a good player and good person. I am happy he is on our team. 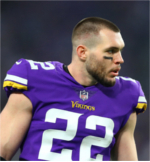 I am not overly optimistic about Mike Remmers. Alex Boone needs to step up his play this season. Joe Berger is 34 years old and could easily take a step back. There is a huge hole at RG. We will see how committed this team is to improving the offensive line next month during the draft. I fear we are going to take the same approach to the offensive line we always have: Drafting one or two middling prospects and hope they pan out. We need to draft a tackle, a guard who is capable of playing this season, and a developmental center. If we don't, then it will be hard for me to say this team is committed to improving the offensive line. 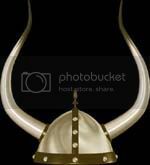 S197 wrote: Wow Kapp, a Vikings and Cubs fan, talk about glutton for punishment. Are you a Sacramento Kings fan too? Seriously though, glad you finally got to see your team win the pennant. I'm guessing San Jose Sharks fan too. Born Iowan transplanted to Florida 25 years ago. At least you where able to see 3/5 of those teams play/win in championships games. I grew up in New Jersey but I'm here in North Dakota for a little bit. Its kinda weird being around a lot of Vikings fans when I'm used to being the only one. Trade our 2nd and late 3rd to move up and select Pat Elflein. He is capable of playing both guard and center (provides the flexibility that our GM loves). In the 3rd we select a back like Foreman (who I think is going to be fantastic). I dont see us having to move up to get Elflein. He's not a projected first rounder. I like Foreman as well. Would be a good complimentary back to McKinnon. Pondering Her Percy wrote: I dont see us having to move up to get Elflein. He's not a projected first rounder. Murray had ankle surgery today. I wish we didnt have to keep McKinon. He has done nothing for us. I bet Murray is just as good at the plays McKinnon was supposed to be good at. Hill could fill that role too. And then draft a little bigger back to pound the ball when Murray needs a break.